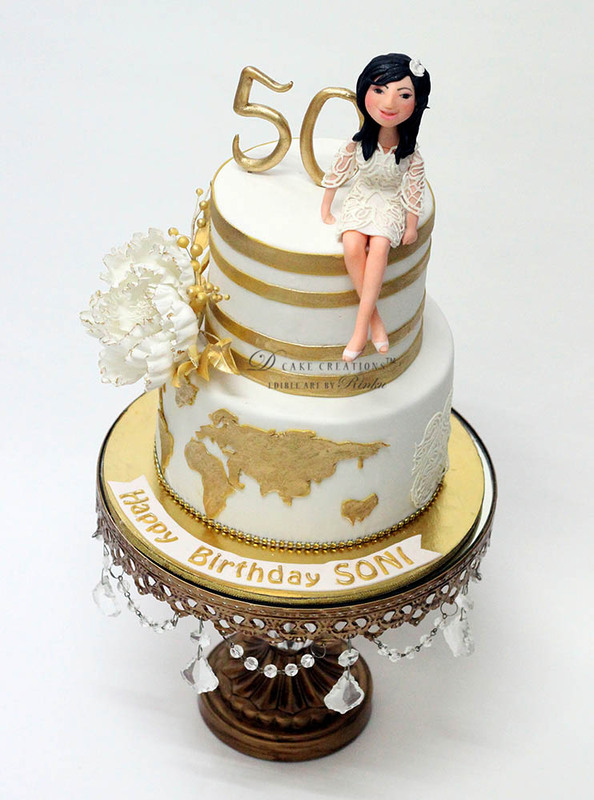 My client, Monika, wanted for her friends 50th birthday a White and Gold Cake with a figurine. The colour combination, surely one of my favorites, was to go with the party theme. The birthday girl loves traveling and so I added a map on the bottom tier of the Cake. It was fun putting together all the different elements and making it special for the birthday girl.